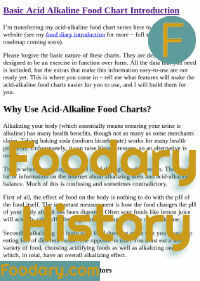 Alkaline Food Charts Introduction Doc Change History is the Document Revision History for Alkaline Food Charts Introduction. If you have suggestions for improving Acid Alkaline Food Chart Intro, add your idea to Foodary Suggestion Box. Oct 26, 2017 (archive). 3/426/70. 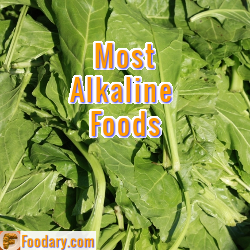 Republished with new featured image, focus, and title (was “Basic Acid Alkaline Food Chart Introduction”). Flagged for review to add TOC & TL;DR. Also, should link to separate explanations of irrelevance of charts that include pH values, or “ash” references. May 06, 2011 (first archive). First Published. I did not document early revisions. If you see other food pages that I should improve, please suggest a Foodary page review.